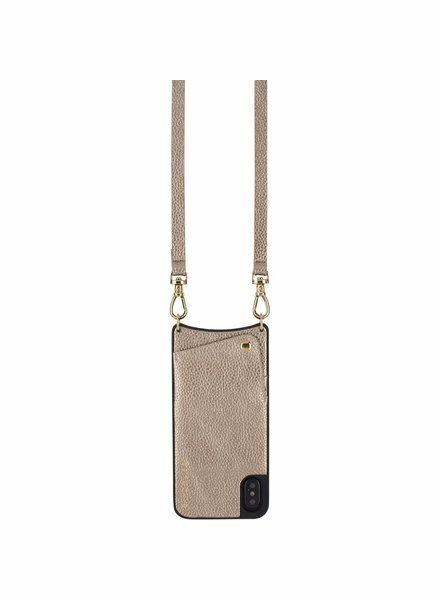 The original luxury iPhone case, Bandolier makes going out without a purse an option! 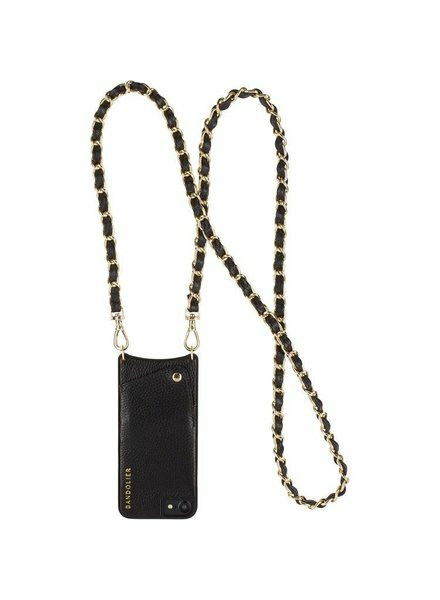 Libby case features a pebbled black leather case with a black leather strap intertwined with a gold chain. Snapback case conceals contents. The original luxury iPhone case, Bandolier makes going out without a purse an option! Adjustable length strap - 52" to 56" - Snapback cover on back holds credit card / driver's license / cash.